From Marty McFly to Gigi, everyone’s rocked a jean jacket. 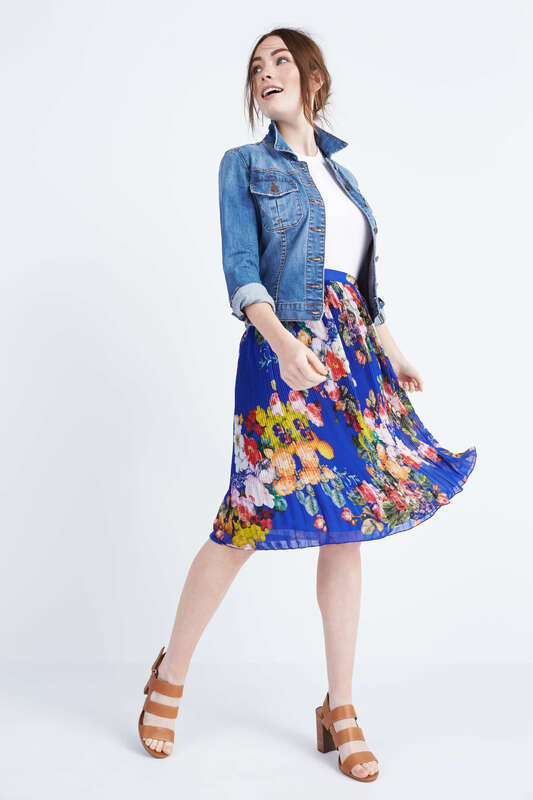 Whether you’re looking to stay warm in a maxi dress or crave some coverage to your favorite night-out blouse, your denim jacket is the go-to. Here’s how to find the perfect one, then how to style it. The perfect fit of a denim jacket is based more on personal preference and less on any specific guidelines. However, one good rule of thumb is to focus on fit. Your denim jacket should fit squarely on your shoulders, not too snug or too loose. Find one with a little bit of stretch so you can layer sweaters underneath for fall. Gone are the days when denim-on-denim was a fashion faux pas. The only major rule when wearing your jacket with jeans? Ensure the washes are different shades. If you’ve mastered denim on denim, try pairing your denim jacket with a brightly hued pair of trousers or pants. 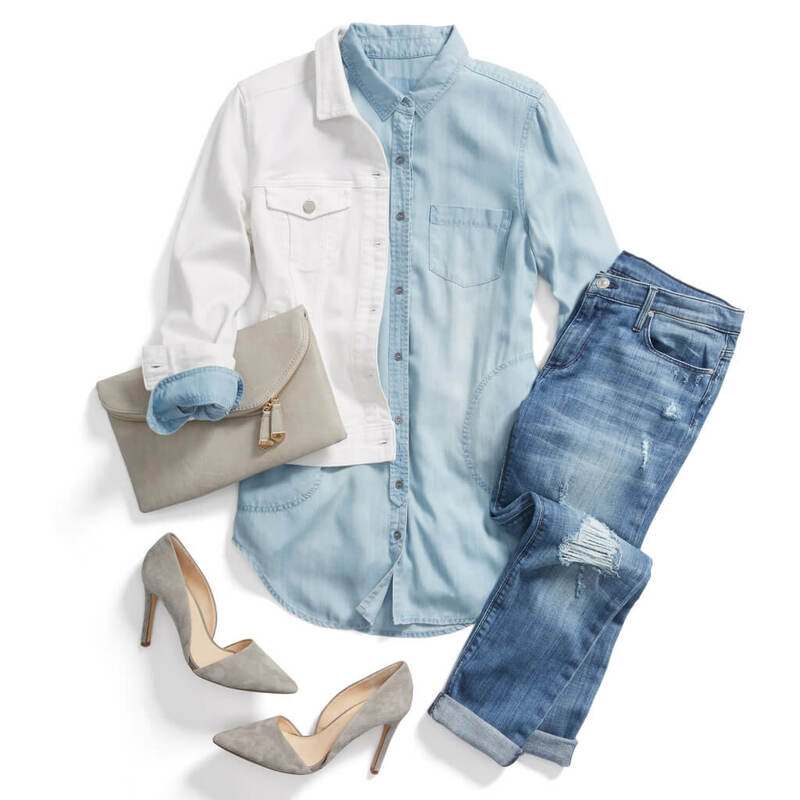 A denim component never hurt any outfit! Throw your jacket over a sundress or maxi to ward off any breezes, all while adding structure to your look. In cooler months this outerwear pairs perfectly with a sweater dress and booties. 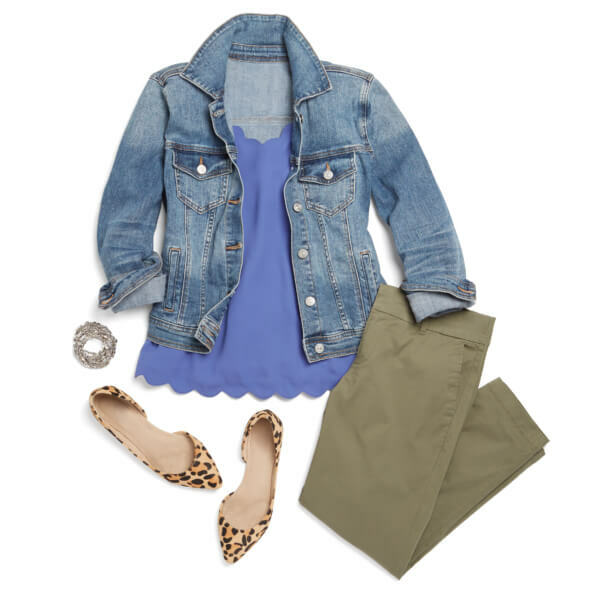 What’s your favorite way to wear your jean jacket? Tell us!